Louisburg junior Brock Bila holds up the 8 pound, 3 ounce bass that he caught during the BASS Nation regional tournament in which he finished 14th overall and won the Kansas adult state championship. When Brock Bila and his family made the move to Louisburg more than a year ago, he had just one request when they decided to leave their Overland Park home. 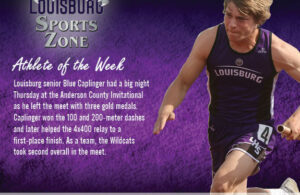 One might consider that a selfish request, but for the Louisburg High School junior, it is one of necessity. You could say it is job-related. Bila, who started fishing at age 5, has become one of the top high school fisherman in the state of Kansas. Two years ago, Bila was crowned the Fishing League Worldwide (FLW) state champion along with partner Thomas Heinen of Topek, at Milford Lake. 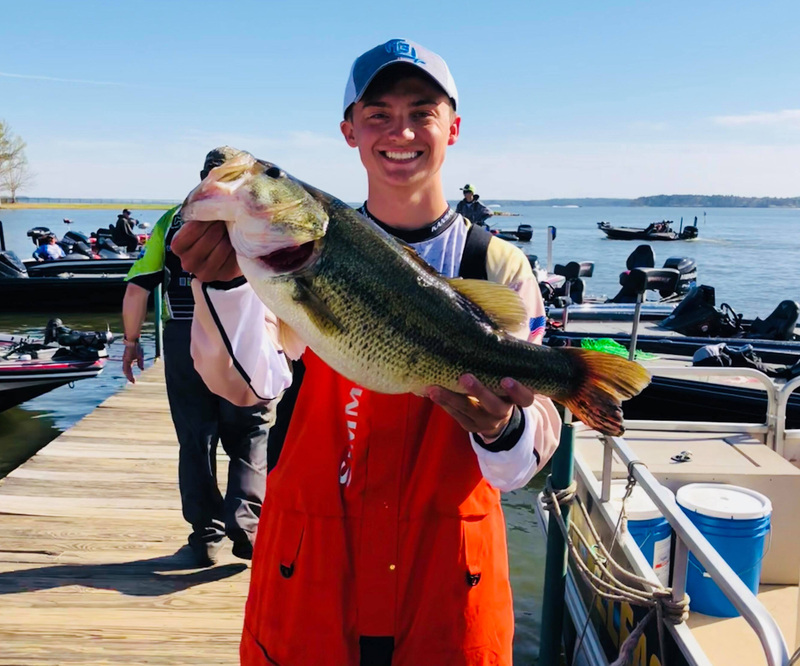 In 2017, he was runner-up in the BASS Nation state championship at Big Hill and he qualified for the National High School Fishing Championship on Kentucky Lake. Last September at Perry Lake, he was first at the BASS Nation High School team qualifier. Most recently, Bila won his second FLW state championship last March with Heinen on Wilson Lake. Bila and Heinen have been joined by boat captain Larry Brumley during their tournaments, and has given the two high schoolers much needed advice along the way. Fishing has been a passion for Bila since he was young and it has only grown over time. He’s found himself competing again some of the nation’s best fishermen, including his stint in the national tournament in Kentucky. Bila poses with his catch last September at the BASS high school team qualifier at Perry Lake, in which he finished first overall. 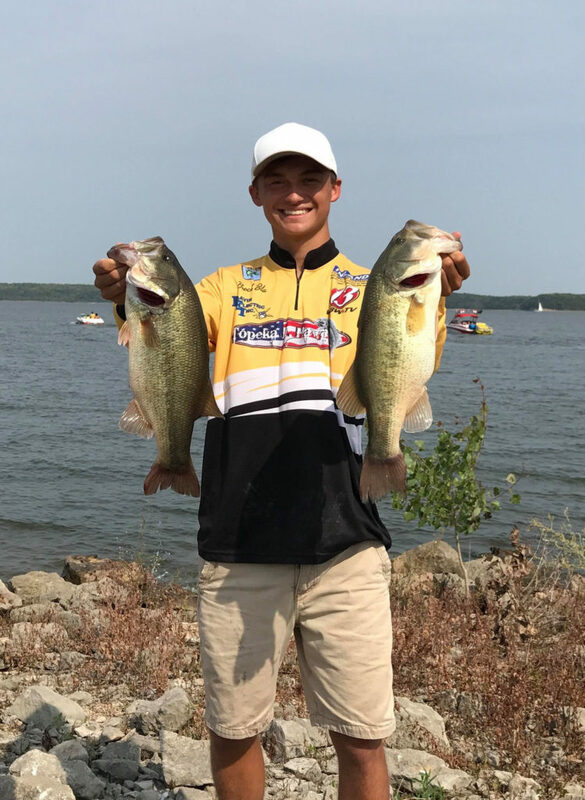 Bila is currently preparing for his trip to the FLW High School National Championship with Heinen in late June on Lake Pickwick in Florence, Ala. He and Heinen have become a force to be reckoned with on the lake as they have won several tournaments over the last few years. Tournaments are harder work than people realize, according to Bila. There are several hours spent pre-fishing the lake and figuring out where the best spot are. Many of the tournaments take eight hours to determine a winner. 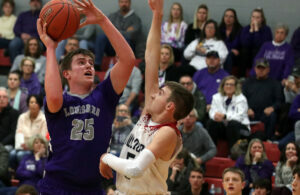 Bila also earned a spot on the 2018 Kansas State Team, which is for adults (16-and-over) and is rare for someone that young to qualify. The team consists of the top 16 anglers in the state. Bila is the Kansas State Champion Co-Angler and will move on to fish in the national championships in December. He finished 14th overall in the regional tournament at Toledo Bend Lake in Louisiana in March and led his Kansas team, which qualified him for the national tournament. Bila also picked the perfect time to catch his biggest bass to date – 8 pounds and 3 ounces. “It is pretty unheard of for a kid coming in and doing that on his first time,” he said. 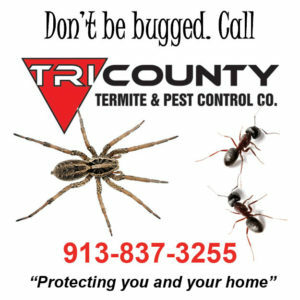 “A lot of the guys have been doing this for a long time and these are the events that help you get to the Bassmaster Classic, which is like the Super Bowl of fishing. Then we went down there to pre-fish, and I didn’t catch over three pounds in practice. The first day, I was sitting 140th or something, then the second day I fished with a professional who has fished the Bassmaster Classic before and that is who I caught an 8-pounder with. Some might consider catching fish to be fortunate at times, but for Bila, it has taken years for him to hone his craft and it has involved a lot of research. “When you are fishing, a lot people think it is just luck, but there are so many variables when it comes to fishing,” he said. 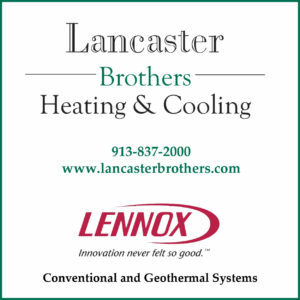 “When you put the water temperature, the moon phases, the air pressure and water color all together – it is not luck. It is a lot of thinking. To see that all come together is pretty cool. 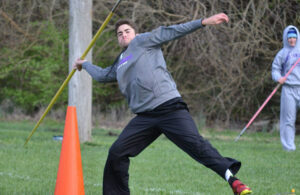 All the success has landed Bila an opportunity to fish for Drury University following graduation and he is excited to be able to have a chance to compete for the Springfield, Mo., school. He also currently has two sponsors that provide him with baits and other items. Bila currently has a web site, www.brockbilafishing.com, where you catch up on all his successes. He is also currently raising money for his trip to the high school national tournament in Alabama in June. 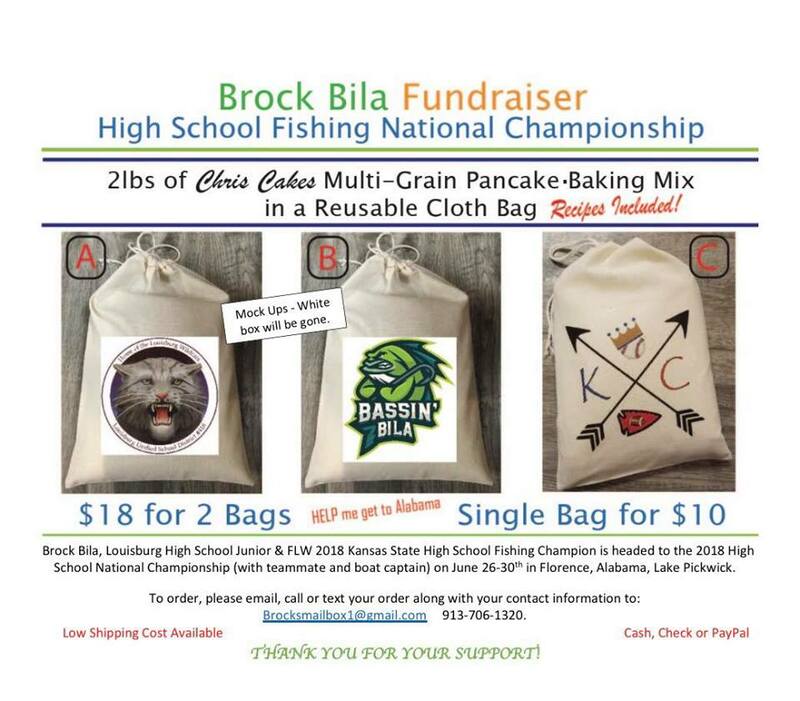 He is selling Chris Cakes pancake mix, and if you would like to support Bila is his cause, email him at brockbila@gmail.com. Good for him. Like I said there are few that can do it consistently on big water. It appears he will be on the tube very soon. MY WIFE AND I HAVE KNOWN BROCK SINCE HE WAS BORN. HE’S QUITE THE YOUNG MAN I’VE HAD AN OPPUNTITY TO FISH WITH HIM AND OF COURSE I WAS OUT-FISHED. FISHING IS THE MOST ENJOYABLE SPORTS A PERSON CAN DO. HE’S GOT AN GOOD OUTLOOK ON LIFE AND HE’S HEADED FAR.